I usually only review books, but I was so inspired by The Dhamma Brothers, that I wanted to share it. 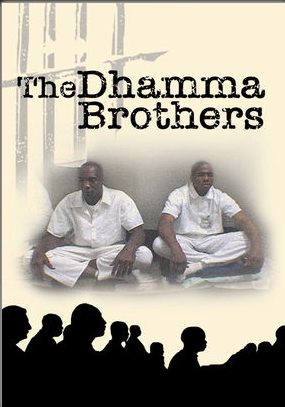 It is a compelling documentary that follows a group of prisoners at a maximum-security Alabama penitentiary as they embark on a transformative odyssey – immersing themselves in a grueling, 10-day Vipassana meditative retreat. It was based on a model of treatment used in an Indian prison.